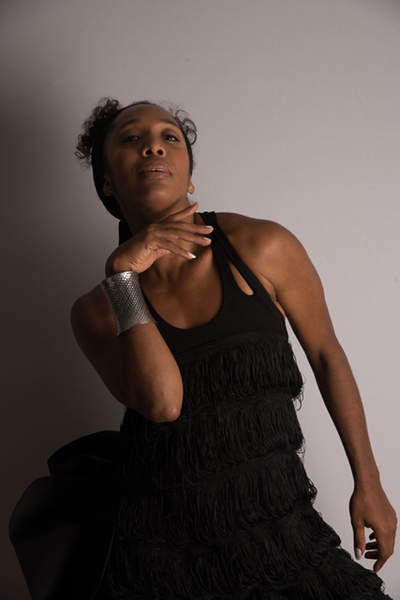 Francesca Harper is a dancer and choreographer based in New York City, and the director of the Francesca Harper Project. 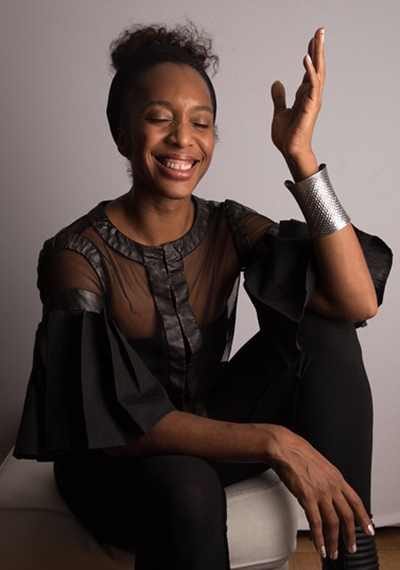 After dancing for Dance Theatre Harlem, the Frankfurt Company, and a handful of Broadway productions, she launched her own choreographic career drawing on her life experiences. Here, she discusses social themes in her choreography as well as how striving for empowerment and success play a role in her work. Can you share a little about your history and how you came to see yourself as a choreographer? My mom was in the arts; she was the director of the Ailey school. My father was a civil rights lawyer. But it was working with William Forsythe that helped me see myself as a choreographer. I worked so collaboratively with him when I was a dancer in the Frankfurt Ballet. I got the choreographic bug then. He was so generous. I took my first leave of absence to create a full evening of choreography for the Holland Dance Festival years ago. Then I came back and finished dancing with the company. That was really it – the collaborative nature of working with Bill that started my interest in choreography. It’s multidisciplinary – often dance theater, though I also do works on pointe. I don’t limit myself. I use text, movement, and I’ve also been studying acting. I’ve created works with monologue and song. I utilize all those tools and find bridges. I started as a classical dancer, but now I have so many influences. I started in ballet, and I usually warm up with ballet barre. But I definitely do more contemporary or deconstructed ballet forms. I wouldn’t say I’m balletic and I have no desire to continue the tradition of ballet. I’m interested in taking the balletic language and piercing us into the future. By integrating other art forms, that hybridity is what’s really exciting about the contemporary dance movement. I find contemporary choreographers are bringing lots of conceptual ideas as well as personal experiences into their work, and not having to define whether they are classical, modern or jazz. Contemporary work is almost a personal fusion. That’s what’s interesting about it for me. What does your choreographic process look like? It always varies. Sometimes I start with a script and will script the entire piece. I did that with The Look of Feeling. I developed the dance afterward and responded to the script with my body. Sometimes I start with a phrase or with music. I like to give myself that freedom. I don’t like having the same formula for every piece. Working with Bill Forsythe taught me that. Definitely. As an African American woman, I’m more aware of minority voices. I definitely lean toward work based in feminism and work that showcases the African American experience. Having contended with racism my entire life, I feel it’s important that we share our experiences. I lean toward those two perspectives because they are the ones I know. I believe in empowering other people and finding commonality. 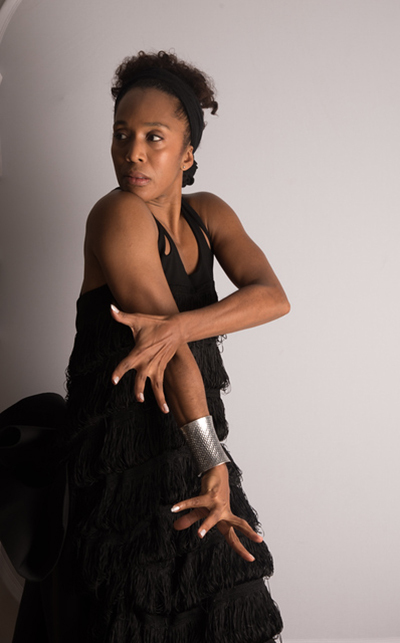 My latest piece, An Unapologetic Body, which I have a fellowship for through Urban Bush Women’s Choreographic Center, has an international cast sharing my experiences as an African American woman. I feel it’s important to have a diverse cast embodying my experiences with race and gender discrimination. That’s the world I want to see: a diverse international community. When working with Bill Forsythe, we used to say the stage is a social platform for change. I realize that more and more with every piece I make: choreography is for people to see, so it’s important for me to say and share what I’m contending with and thinking about, as well as what my joys and celebrations are. I also am able to learn through the process. I can share my experiences, be with diverse group of people, and find the commonality between us. Working with various companies and in educational/choreographic settings, what do you hope is your dancers’ biggest takeaway and how do you work to foster it? Empowerment, no question. I work to foster that vibe by making more collaborative works. Just crediting the dancers as co-collaborators and crediting myself as the choreographic designer is one important way I do that. The dancers are just so brilliant. I also teach improvisation, and to see the body uninhibited in space and moving the way it wants is beautiful. I really have an improvisatory element to my work; it’s an interesting pastiche between choreography and improvisation. I find that choreographic design gives guidance and also lets dancers move freely. How would you define success? Do you see yourself living out that definition? Success is joy and happiness – to move in the space and do what you love. There’s also an element of connectivity, when people feel moved and empathize. That’s just powerful. That’s the momentum behind what people define as success, powerful moving work that makes people feel a sense of joy. I’m trying to achieve that but fail all the time. I’m okay with failing because I learn something from it. I keep striving for that definition of success by being courageous and putting truth in the work. I feel weak all the time, but I know from my training and experience that when I feel that weakness, I can bring that into my work. That feels empowering. What do you foresee for the future of the Francesca Harper Project? Are there any specific goals you have for the company? I wrote about wanting to be original in a journal years ago. It’s a great goal, but also my Achilles heel. I want to continue to experiment and pioneer forms that are exciting, that make us think. Honestly, I’ve had so much loss and upheaval in my life the past decade, plus becoming a mom, I’m just coming out of those upheavals. I know that I’m dedicated and will never stop, but I don’t know exactly what the future is right now. I’m also producing a couple films: one feature film and another short dance film. I’m looking to move into even more filmmaking. In my new piece, An Unapologetic Body, I’m interspersing the film footage that goes through memories within the choreography. I’m developing the dance from the images in the film. As I get older, film is one way to document for future generations. It’s not easy to be original. It’s been interesting getting this choreographic fellowship from Urban Bush Women. That support has given me the time to understand more about what’s important to me as a person. Sometimes, when you don’t have the time or support, the work becomes product-oriented versus research-oriented. I’m really into discovery instead of going down paths that I know. I want to lean and bend into discomfort and see what comes up. That for me can be as simple as a subtle awareness. Those are the gifts that are quite satisfying, being in a space of discovering and leaning into channels of discomfort. 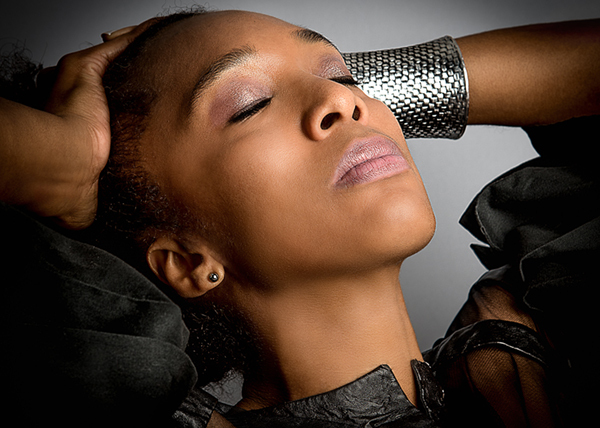 The fellowship through Urban Bush Women’s Choreographic Center has been one of the biggest gifts of my career in allowing me to do that even more. I am truly excited about my upcoming projects, teaching, and my latest collaborations. Over the past few years, I have had the honor of collaborating with artists whom I have admired for years, and artists who have taken emotional risks and infused a deep intellectual rigor into their work. I am proud to continue my work as the artistic director of the Movement Invention Project at The Baryshnikov Center for the second year in the summer of 2019, and as a faculty member at The Juilliard School. I am continuing my work in film and currently developing one feature film and an episodic with my producing partner Susan Batson. I am also working on a dance film entitled New Sun by filmmaker Derrick Belcham and myself that is supported by The Ballet Center for the Arts. On recent stage works, I have collaborated with MacArthur Genius Fellow and visual artist Carrie Mae Weems, visual artist Nick Cave, and Grammy nominated composer Nona Hendryx. I was the movement director for Nick Cave’s The Let Go at The Park Avenue Armory, a collaborator on Grace Notes and Past Tense, which was featured at the Kennedy Center with Carrie Mae Weems, Imani Uzuri, Alicia Hall Moran, Eisa Davis, Carl Hancock Rux and Craig Harris, and Refrigerated Dreams with Nona Hendryx, Carrie Mae Weems, Niegel Smith with associate choreographer Josh Johnson. My latest creation, Radical Beasts in the Forest of Possibilities, my third collaboration with Nona Hendryx featuring her musical score and assisted by my rehearsal director and choreographic assistant Eriko Iisaku, will have its world premiere with the José Limon Company in New York City at the end of May 2019 at The Joyce Theater. To learn more, visit thefrancescaharperproject.org. Thanks for your kind words and thoughts, Linda! What a wonderfully enlightening article about the spirit and soul of Francesca, as it informs her creativity in the wonderful world of dance, her first love, and the arts more broadly. I’m bursting with glee for all her successes and I know that Denise Jefferson, her incredible mother, and number one fan, is among the stars twinkling with pride, joy and so much love for her amazing and accomplished daughter. What a wonderful connection! Thanks Jimmy! This was a Wonderful Read. Her Mom, Denise Jefferson r.i.p. was a Teacher and Mentor to me when I Trained at Ailey’s. Francesca was just a kid, i remember her with her Mom at the Ailey School. Thanks for this Article.